Colombia returned to the World Cup with some of the best players in the country’s soccer history. 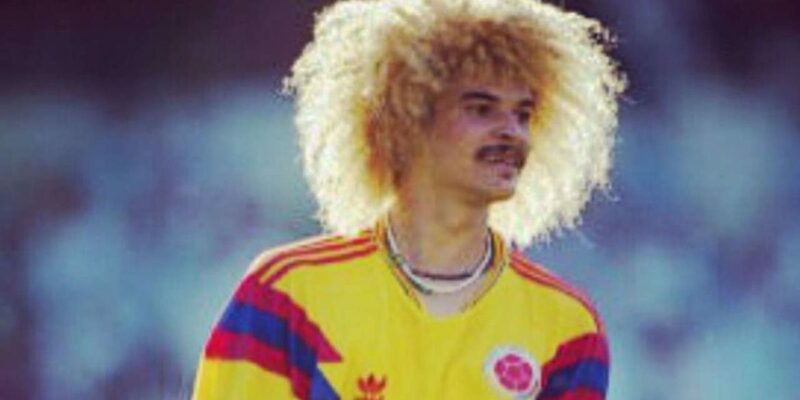 Known for his bodacious blonde afro, flamboyant ball handling, and force of character, Valderrama became the symbol for a generation of Colombian soccer. Following on his leadership and talent as an explosive midfielder, Colombia’s national team qualified for three consecutive World Cups during the 1990s, during what is known as Colombia’s “golden years.” Over the course of his career, Valderrama appeared in 111 international matches, making him the most-capped player in Colombia’s national soccer history. According to many, Ortiz possessed the most skill of any player to ever play for Colombia. With his maneuvering, speed, coordination and great definition, Ortiz sticks out among Colombia’s great soccer players. He was captain of Colombia’s Selection where he played from 1976 to 1986. He also among Colombia’s greatest goal scorers, totaling 187 goals throughout his career, including 12 for the national team. While Valderrama defined a generation of soccer for Colombia, Freddy would become his generation’s most reliable player. A striker full of potential and attack, beyond scoring critical goals in decisive games, such as Colombia’s famous 5-0 win over Argentina in 1994 World Cup qualifiers, Rincon also served as a balancing force for the team. Asprilla was one of Colombia’s best strikers during their golden years through the mid-90s. He was named by FIFA in 1996 as the sixth-best player in the world. The striker’s talent got him contracts at Parma, Newcastle United, Palmeiras and Fluminense. His ferocious speed and deadly ball handling left have him remembered as one of Colombia’s all-time greatest stars to grace the field. Considered to be among the world’s “deadliest” strikers, Falcao’s powerful performance has been crucial in qualifying the Colombian national team for the 2014 Brazil World Cup. Currently tied for second as Colombia’s all-time top goal scorer with 20 goals for the selection, one thing Falcao knows how to do is get the ball in the goal. Expectations for Colombia’s most expensive player in Europe are high and the world will be watching as Falcao establishes his legacy this year in Brazil. A star from Colombia’s golden era in the 1990s, Higuita holds the record for the most goals scored by any Colombian goalie, scoring 30 throughout his career. Known for his unconventional style and reckless maneuvering, they aptly called him the “el loco.” He also gained notoriety for stunning the English with his “Scorpion kick” save at Wembley in 1995. Iguaran holds the record for most goals scored for the national team with 25 goals in 68 games between 1979 and 1993. He played most of his career for Colombian league team Millonarios where he scored 120 goals in 336 league games. In spite of his impressive scoring abilities, the legendary striker never played outside of Colombia and Venezuela. Dubbed “Super Mario” for his impressive defensive abilities, Mario is one of the few Colombia players to have played for both the previous golden generation that ended in 2001, and the new golden generation that is taking Colombia to Brazil in 2014. Leonel played as a defensive midfielder for Colombia’s National Selection during the country’s first golden generation. He played 101 games for the Colombia between 1985 and 1995. Known for his discipline and tenacity and following a highly successful run as coach of Independiente Medellin that delivered the paisa underdog a league title in 2009, Colombians admire his solid approach to soccer. While playing the Colombian national team from 1992 to 1998, Valencia scored an impressive 14 goals. A fearsome striker, when Valencia broke the defensive line with a sprint, the opposing goalie knew he had it coming because Valencia’s speed was rarely matched. James Rodriguez is the youngest of Colombia’s best-ever soccer players. He began playing in the United Kingdom at age 17 and entered the national squad in 2011 after which he became one of the Cafeteros’ most feared midfielders.